The regulations regarding Energy Performance Certificates are changing on 1 April 2018 and will affect both residential and commercial properties in the private rental sector (PRS). All residential and commercial properties in the UK must have an Energy Performance Certificate. The requirement for an EPC is triggered on sale of a property or on entering into a lease or tenancy. It is for the seller or landlord of the property to obtain the EPC, which will provide information on how energy efficient a building is. An accredited assessor will assess the property and provide an energy efficiency rating ranging from A (most efficient) to G (least efficient). This will be displayed on the EPC, as well as recommendations about how to reduce energy use and save money. A property (unless exempt) cannot be sold or let without an EPC. From 1 April 2018 new Minimum Energy Efficiency Standards (MEES) will be introduced. In essence, it will be unlawful for landlords to let or lease a residential or commercial property with an EPC rating of F and G unless the property is exempt. It is understood that these regulations will come into force for new lets and tenancy renewals on 1 April 2018 and for all existing residential tenancies on 1 April 2020. The requirements for existing commercial tenancies will not come into force until 1 April 2023. Any works required to bring the property up to at least an E rating must be completed before the property is rented out or the lease renewed. 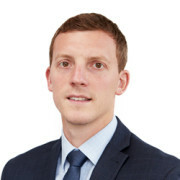 The penalty for breaching the regulations is a fine of up to £4,000 for residential properties and £160,000 for commercial properties, which is likely to be quite a significant dent in a landlord’s profits. These changes are likely to affect a considerable number of landlords. 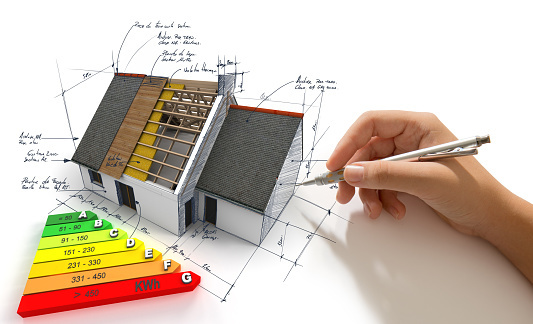 Government statistics reveal that between 2008 and 2015 26% of residential properties which had an EPC survey completed were achieving an E, F or G rating. For the same period, 35% of commercial properties were achieving an E, F or G rating. MEES will not apply to properties that are exempt from requiring an EPC, lettings of six months or less, or to lettings of 99 years or more. There is currently a mistaken belief in the conveyancing sector that all listed buildings are exempt from requiring an EPC. Listed buildings are not exempt from requiring an EPC and are only exempt from MEES where the work to improve the energy efficiency of the building would unacceptably alter the property’s character or appearance. In order to clarify whether or not an EPC is required, a landlord, and indeed any property owner deciding to sell or lease a listed building, should have their property assessed. If the requirements to improve the EPC rating would alter the character or appearance, advice should be sought from the local authority conservation officer. If the capital required to improve the rating to an E or above is not cost-effective within a seven year payback period. This exemption is currently under review and may be replaced in the near future. Where despite reasonable endeavours, the necessary third party consent (e.g. a local authority, tenant or superior landlord) has been refused or given with conditions with which the landlord cannot reasonably comply. Where an independent surveyor determines that the relevant energy efficiency improvements to be made to the property are likely to reduce the market value of the property by more than 5%. Recently becoming a landlord (a temporary six-month exemption). This applies in limited circumstances, including the grant of a lease due to a contractual obligation pursuant to the Landlord and Tenant Act 1954, or the grant of an overriding lease under the Landlord and Tenant (Covenants) Act 1995. A landlord will only be exempt if the exemption is registered on the central government PRS Exemptions Register. The register will be launched on 1 April 2018 in line with the regulations. The exemptions are only valid for five years and cannot be transferred to a new landlord. Reviewing their property portfolios to consider which properties will be within the scope of the MEES regulations and whether any exemptions may apply. Contacting an accredited assessor to organise energy assessments on the property portfolio (if a landlord has not already done so) in order to establish whether any properties will need improvements. Including energy efficient modifications in any planned maintenance for properties with a rating of F or G.
Understanding how lease terms, break dates, renewals dates and planned refit periods fit with the MEES inception. If you require any assistance with the granting or renewing of a lease (whether residential or commercial), or purchasing a buy to let with an existing tenancy, then please do not hesitate to contact our property teams on 01603 610911.